From 3th to 6th of November 2015 MED-DESIRE Project was at Rimini during Ecomondo – the green technologies expo. Ecomondo represents the largest showcase in the Euro-Mediterranean area for advanced and sustainable technology for processing and recycling all kinds of waste, for treating and reclaiming water, waste water and polluted marine sites and for the efficient use and transformation of raw and processed materials and the promotion of renewable raw materials. 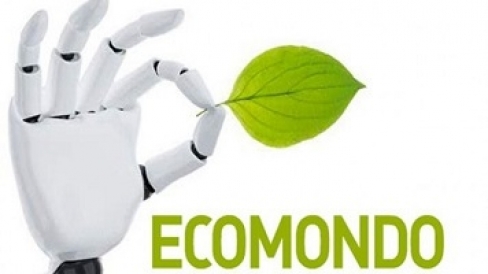 Ecomondo is the place where businesses can meet competitors in complementary markets and leading players in public research in Europe and the Mediterranean area to establish national and international partnerships in the implementation of a knowledge-based Green and Circular Economy. During the events “Stati Generali della Green Economy 2015” , which were organised in the exhibition areas in collaboration with the Italian Ministry for the Environment, Land and Sea (IMELS), MED-DESIRE experts disseminated information project materials and they met the companies interested in the development of distributed solar energy technologies, discussing together the opportunity and the barriers.